As one of the most visited countries in the world, Spain is brimming with tourist attractions of all kinds. 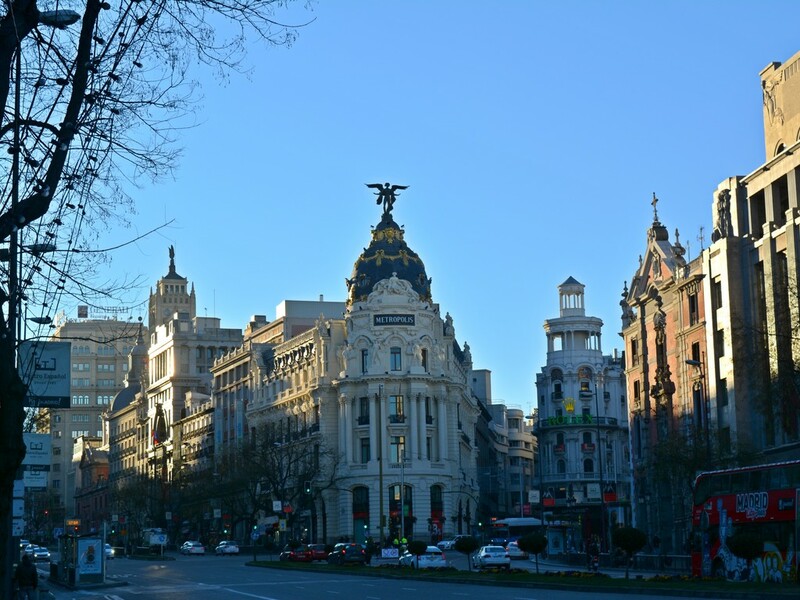 Its capital – Madrid – is the perfect example of a beautiful city that portraits the Latin vibe of the Spanish culture. Crowded streets and plazas filled with restaurants or bars where you can chill and have a drink while surrounded of great architecture: this is Spain. Add a sunny day and a blue sky and you’ve got yourself the perfect place to spend some time exploring. Here’s what to see in Madrid! 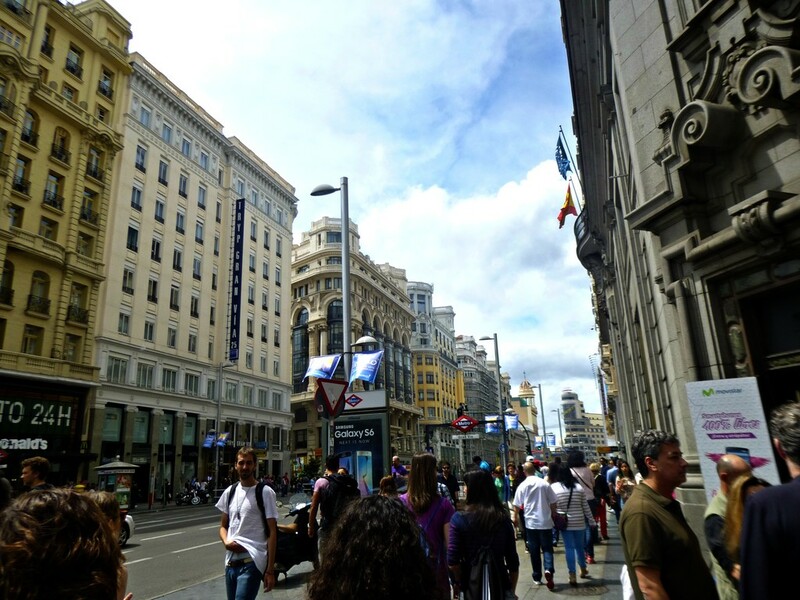 Our first entry is no other than the most famous street in all of Madrid: the Gran Via. Located in the heart of the city, this 1,5km boulevard is home to the Spanish Broadway and to countless shopping places. However, what really makes the Gran Vía so special it’s how busy it is regardless of the time of your visit, and of course, how remarkably beautiful all of its buildings are, with a special mention to the Metropolis Building, or the Edifício Grassy. To sum it up, this is a place where you can have a nice walk, contemplate beautiful architecture, do some people-watching, go on a shopping spree and watch live musical shows…it’s basically the area where it all happens and that is why it had to be included on our list of what to see in Madrid. Tips: Although not quite in Barcelona’s level, Madrid is also known for having some pickpocketing issues. Considering you’re walking through the busiest street in the city, you better take good care of your assets. There’s only one place in the Spanish capital where’s even busier than our previous entry. Located in the centre of Madrid (literally, this is the city’s kilometer zero), the Puerta del Sol is the square where one of the city’s original gates used to be. This particular gate was directed towards east, where the sun rises in Spain, hence why it was named Gate of the Sun. Nowadays, and despite being a touristy area, it’s still one of the most famous and beloved areas in Madrid – and rightly so. The constant movement, the architectural gems and the overall easy-going vibe will make you feel like every night is Friday night. 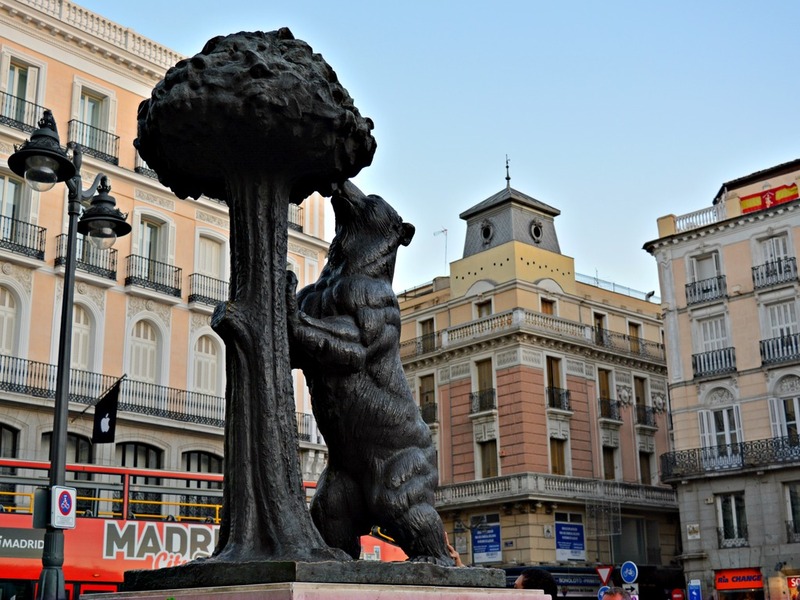 Tips: Take a picture of the famous El Oso y el Madroño, perhaps the city’s most representative statue (despite its small size) as it depicts Madrid’s coat of arms. In our opinion, the most beautiful square in Madrid. The way it unravels in front of your eyes as you pass any of its nine different entrances will bring a smile to your face. 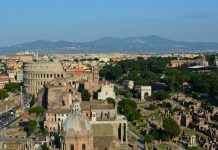 This impact is even bigger considering the plaza is located in an area filled with narrow and winding streets, so when you’re visiting for the first time you’re definitely not expecting to run into such a wide and marvelous square. 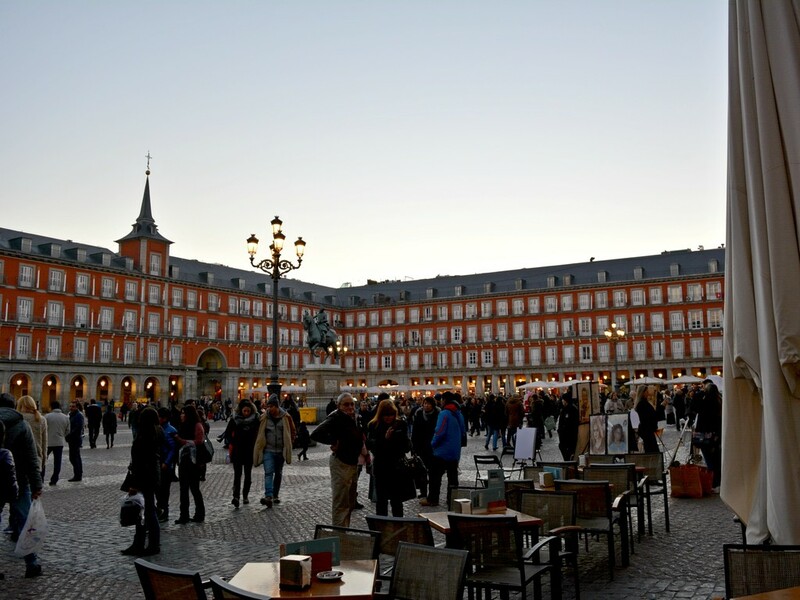 As for its features, in Plaza Mayor you’ll find the stunning Casa de la Panadería, the beautiful red façades of residential buildings and the statue of King Philip III (the man who ordered the plaza to be built), as well as multiple restaurants and bars. Less than 200 meters away you’ll also find the famous Market of San Miguel, whose visit is essential. Tips: As a busy and rather touristy place, you’re bound to find street performers there. If you don’t have the budget or are not willing to donate, then don’t take pictures of them or let them photobomb your pictures (yes they will try), otherwise they might ask you for a “contribution”. How to get there: Consider the same directions given for Puerta del Sol. Plaza Mayor is about 3 minutes away. Never has the word “Plaza” been so misleading! Despite being officially classified as a square, Cibeles is more of a roundabout with intense and (seemingly) nonstop traffic, so you’re not going to find an open and wide space like in most common squares. Regardless, this place houses what is perhaps the most visually striking building in Madrid: the Palacio Cibeles. Currently serving as the City Hall, no words can describe how beautiful this construction is, and along with the fountain in front of it (also called Cibeles), it stands as one of the most iconic monuments in the capital. Tips: Don’t miss the chance to get one of the loveliest views of Madrid! 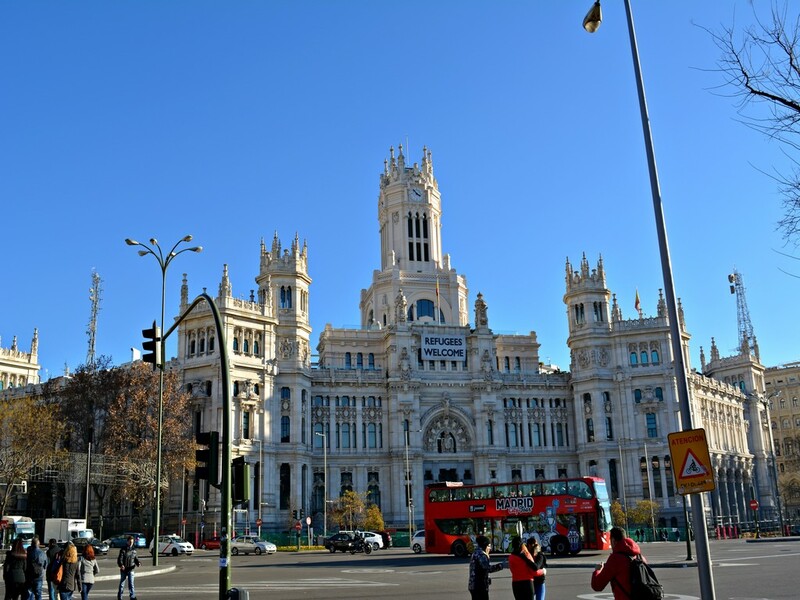 While in Cibeles, get inside the Palace and ask for the Mirador Madrid. 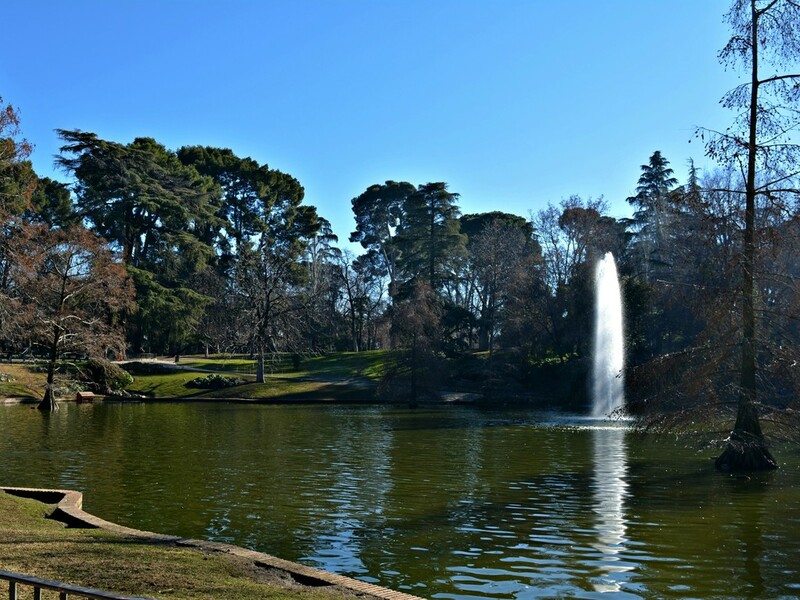 Estanque del Retiro – an artificial lake completed with the stunning monument to King Alfonso XII. Rowing boats are available for rent (although you pay a fee for the person and not for the boat). Palacio de Cristal – a structure mainly made of glass. It houses very cool (and free) art exhibits inside. In front of it there’s a lagoon with great photo hotspots. La Rosaleda – the most beautiful garden in the park, composed of several types of roses from all over the world. Fuente del Ángel Caído – a fountain topped with a bronze-made depiction of Lucifer being expelled from heaven. It’s accused by some of being of Satanist nature. Tips: Spend an entire day there so that you can explore everything at your own pace, and don’t forget to stop by the Puerta de Alcalá. This is one of the most notable monuments in Madrid and stands right at the park’s main entrance. As one of the 12 remaining monarchies in Europe, Spain has its fair share of royal sites spread throughout its territory. 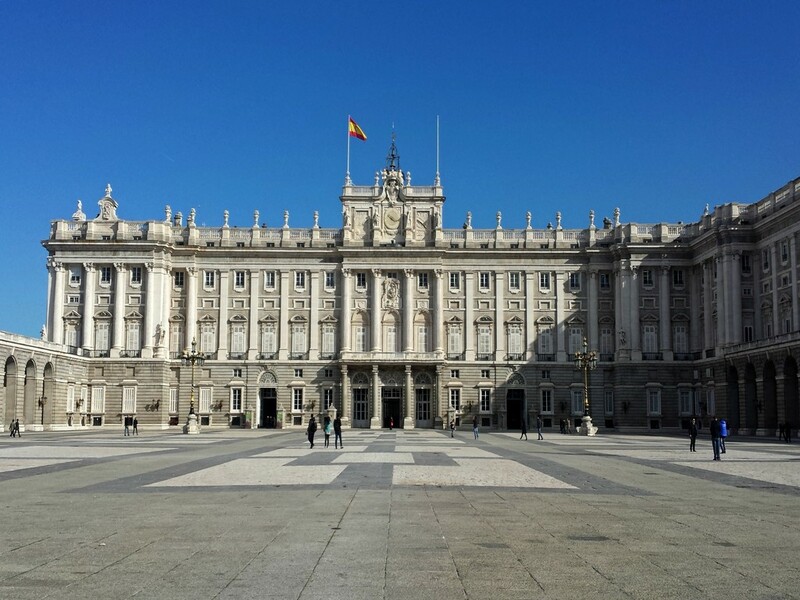 However, the most historically significant is the Palacio Real de Madrid, the official residence of the Spanish royal family (although only used for ceremonial purposes), and the biggest palace in Europe by area with 135 000 square meters and over 3400 rooms. The interiors of the palace are just stunning, with countless frescoes, porcelains, pieces of armoury and an overall feeling of luxury and richness. The exteriors are equally impressive since the palace is surrounded by the Catedral de la Almudena, the Sabatini Gardens and the Teatro Real (through Plaza de Oriente), which are all worth visiting on their own. Tips: If it’s sunny, take a few minutes and visit the Plaza de Armeria, located right outside the palace’s main entrance. We swear the sunlight strikes that place like no other in the city. Next on our list, a place right in the center of Madrid that will have you feeling like you’re exploring ancient Egypt. 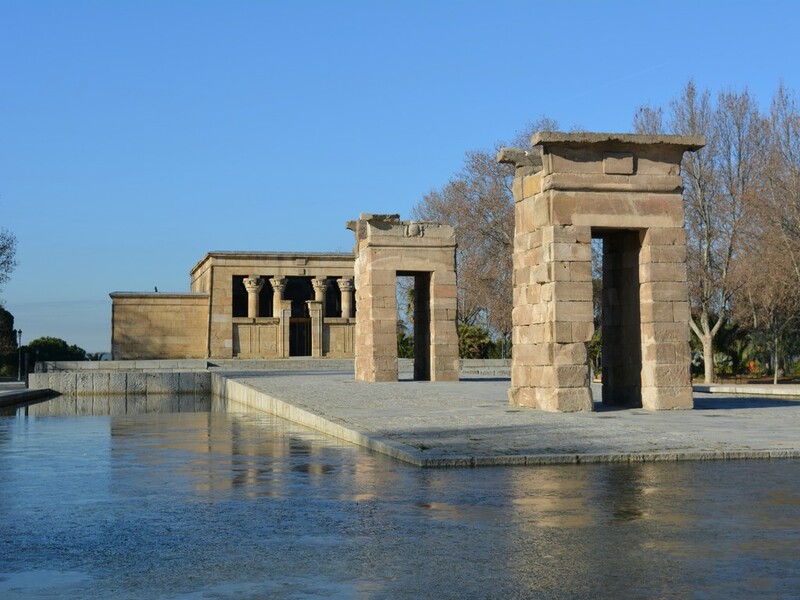 A gift from this northern African country, Templo de Debod is a 2200 year-old temple originally built in the Egyptian city of Aswan and dedicated to the goddess Isis of Philae. However, the monument’s integrity was endangered by the construction of a dam nearby, and after several calls by UNESCO to save this site, Egypt chose to dismantle it and present it to Madrid in 1968 as a sign of gratitude to Spain for having helped saving several other Egyptian monuments before. The temple was then shipped to the Spanish capital and rebuilt in 1972, where it stands as a mandatory stop on any guide of what to see in Madrid. Tips: Visit this temple in the late afternoon. Not only you’ll be able to see the sunset from it, but you’ll also be surprised by the way it illuminates after dark. Museo Thyssen-Bornemisza – perhaps the least popular of the three (despite its 900 000 annual visitors), this gallery distinguishes itself from its counterparts with its vast collection of early European paintings from Italy and the Netherlands, and with pieces from some of the most famous names of Impressionism such as Claude Monet. Museo Reina Sofia – the most visited of the triangle, this museum focuses on 20th century Spanish art, displaying works from the likes of Pablo Picasso and Salvador Dalí. The collection’s masterpiece is the mural sized painting Guernica, by Picasso, that depicts the bombings of the city during the Spanish Civil War, and is widely considered one of the most powerful art pieces of all time. 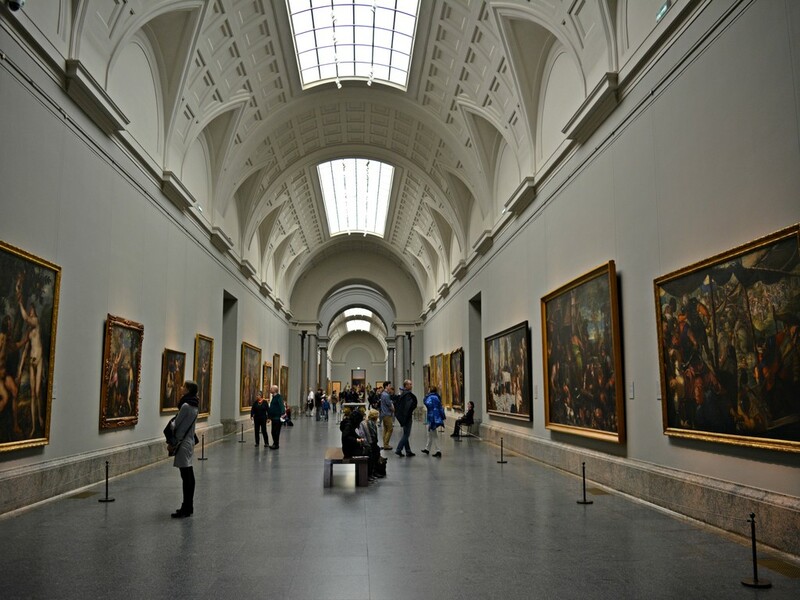 Museo del Prado – Last but definitely not least, the crown of the jewel in The Golden Triangle of Art – The Museo del Prado. The biggest and most acclaimed of the three, this institution houses one of the best art collections in the world, and is arguably the best museum in Spain. Plus its building is also the prettiest, so if you have to pick between them, this is the one to choose. Tips: Although it’s kind of “hidden” in their website, everyone can enter Museo del Prado for free if they visit during the last 2 hours of opening time. How to get there: Metro Line 2 – Stop: Banco de España, followed by a 7/8 minute walk. Despite the differences and political rivalry between Madrid and Barcelona, if there’s one thing both cities have in common is their passion for the beautiful game. Also, both of them house stadiums that stand out as general attractions rather than just places to be visited by football aficionados. 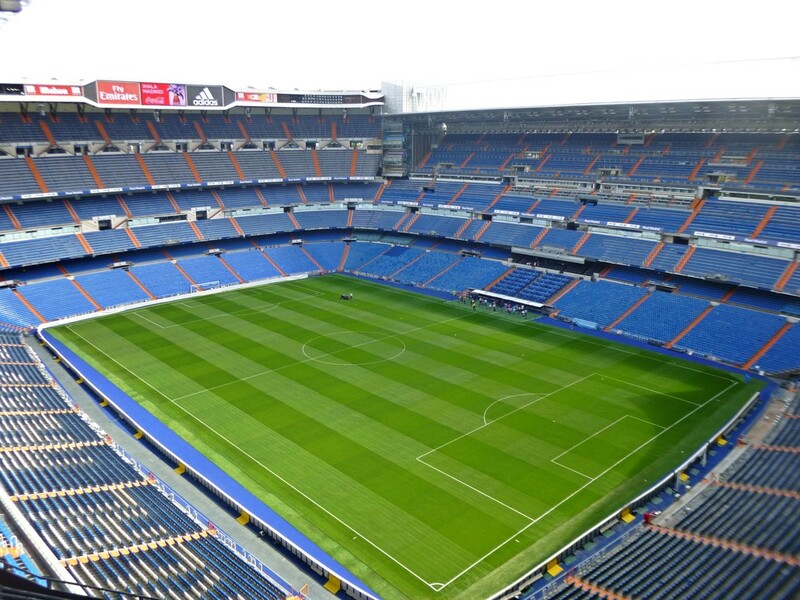 When it comes to Madrid, we are obviously talking about Estadio Santiago Bernabéu, home to what is probably the most famous and successful football club in the world: Real Madrid. Besides, Cristiano Ronaldo plays there which means this is also the easiest stadium to convince your girlfriend to go to. Tips: Go watch a game. Real fans are the most impatient and demanding in the world, they call for nothing but perfection and considering the club’s silverware it seems like they get what they want more often than not, so you’re in for a great show…or at least you better keep this positive spirit once you check the prices at the ticket office. And that’s it – our essential list of what to see in Madrid! If you’re visiting, make sure these places are on your “to do” list and enjoy! Not convinced yet? Did we forget any major site? Let us know on the comments below!